OMG Zombies is available for pre order on Nintendo Switch! IT’S ALIVE! Well not quite, but in one week, on the 26th March 2019, OMG Zombies! will be available on Nintendo Switch, in a diabolical mockery of life. Fortunately, you can already pre-order OMG Zombies! for just £0.99GBP / €1.09 / $1.24! This 75% early bird discount lasts until the 2nd April, when the price will increase to £3.99 / €4.39 / $4.99. So, hurry to the OMG Zombies! Nintendo Switch Store page, and remember the early zombie gets the brains! OMG Zombies! Is an awesome reimagining of a genuine classic: the critically acclaimed OMG-Z, a top-ten all-time Metacritic rated PSP game and ranked as Metacritic’s best action title ever released on PSP! 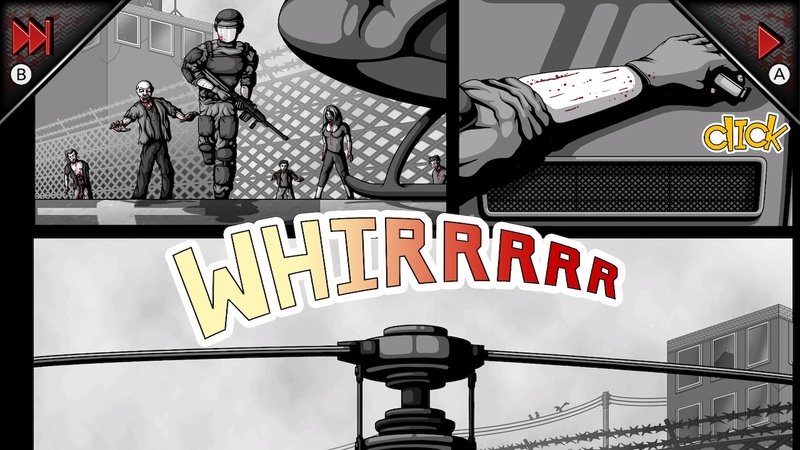 The City of Redfield has been hit by an outbreak of exploding zombies! 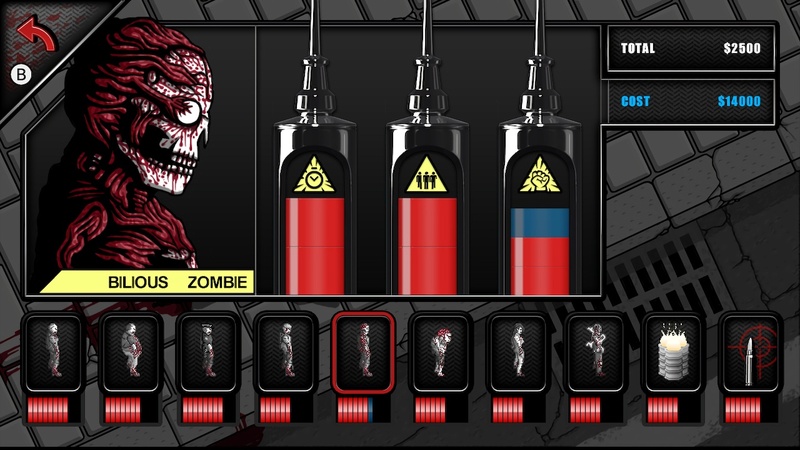 For cool and unimportant reasons these suckers literally explode when shot, showering their zombie brethren with gore and causing chain reactions of showering zombie gibs with just a single bullet! 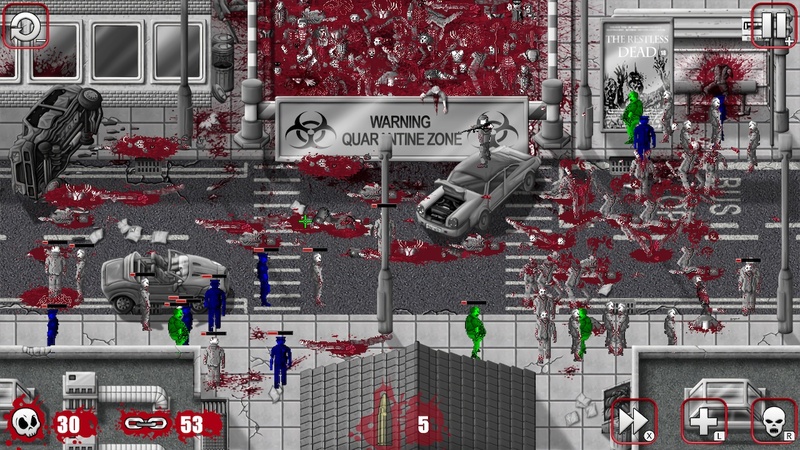 As a lone cop armed only with bare wit, a large-calibre sniper rifle and bullets coated in a zombie-exploding pathogen, you are the last man standing at the epicentre of a zombie outbreak. Your mission? To succeed where the police and army failed by clearing the streets of 8 different strains of bloodthirsty zombies and stop Armageddon in its tracks! 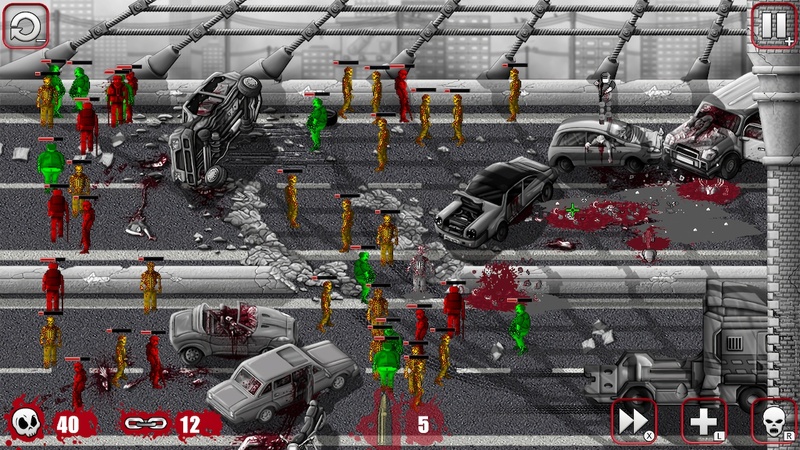 Use your sharpshooting skills to vanquish 100 branching levels of zombie hell across 40 unique environments in this hugely addictive chain reaction shooter. Earn 400 shiny medals and cold hard cash to buy 100 different upgrades, all designed to MAKE THOSE ZOMBIES EXPLODE! So, make sure you take this chance to see what made this gore-fueled chain reaction shooter into the game you just can’t put down! Not only does the Switch version include all the new upgrades from the PC and PS Vita versions of the game, but we’ve also made lots of awesome tweaks further improving the experience, all of which you can read about in a previous blog.